Launch a Leader is launched! The day stated around 10:00am with a Mass. A choir from Utegi came to sing and it was very joyful. 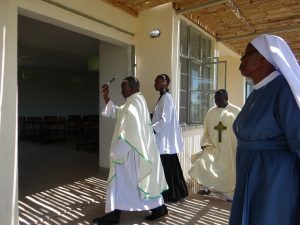 Around midday the school was officially inaugurated and the ribbon was cut by Sister Bernadette, the school nurse. 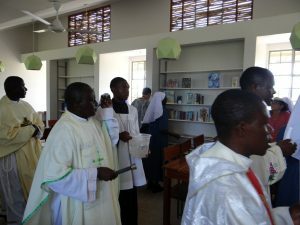 The priests, sisters and rest of the crowd went through each building to bless the school: science center, library, dormitory, classrooms and teachers houses. 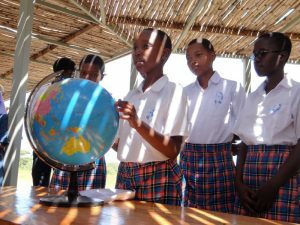 The students then demonstrated several subjects: Physics, Biology, Geography and Chemistry. The part was just incredible; they had been working on it for so long, they were so well prepared, and everyone was really impressed! 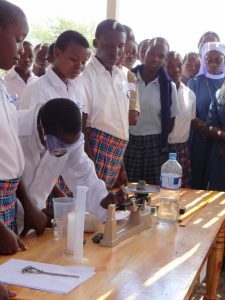 The chem students even demonstrated a water cleaning system that Hannah (one of the visitors/volunteers) had donated and demonstrated to them just the day before. 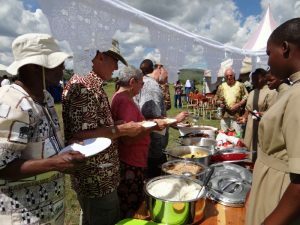 Lunch was served: delicious Tanzanian food buffet that reminded our visitors of the Taste of Tanzania dinner back in Buffalo, NY! 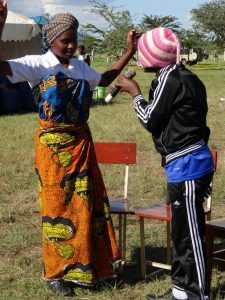 After lunch the girls performed a whole series of dances, songs, aerobics and even a theatre piece on the devastating effects of circumcision. 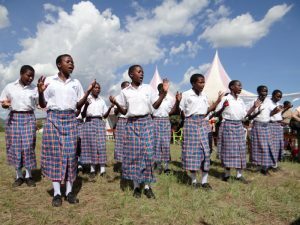 One of the songs/dances advocated for women’s rights and education. A play was directed by one of the students. 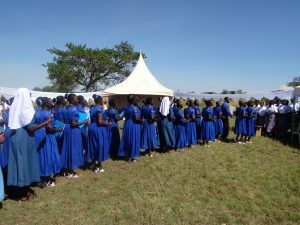 We were blown away by the honesty: they spoke without taboo, representing a husband mistreating his wife, favoriting his son and forcing his girls to be circumcised after consulting the village elders, even if his wife begs him not to. The students even played out the actual circumcision part, which resulted in the young girl dying. Two children eventually escape from their father during the night with the help from their mother, and take refuge at the Sisters’, who offer them an education. When the girls return to see their family after graduation, they have surpassed their brother and a bright future awaits them. 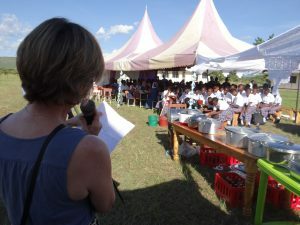 Following this, the Head of School, Sister Anne-Marie, and the Mother General Sister Lucie made speeches, thanking all who have contributed to the School, including donors and GEC. 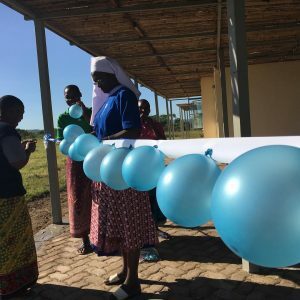 Sister Lucie was heard saying twice in her speech “When you educate a girl, you educate a whole family”. 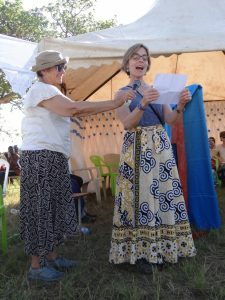 After this, Anne also have a speech too, in Swahili! There was a beautiful part where she directly talked to all the girls who were sitting beside her. The day was truly one I will never forget. 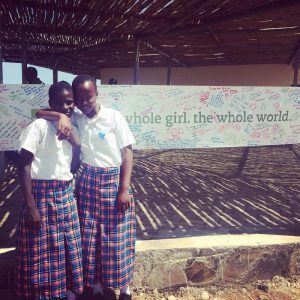 An incredible moment for The Immaculate Heart Sisters of Africa, Girls Education Collaborative, and most especially, for these amazing girls. There’s nothing a girl can’t do.